The mission of Pacific Rim College is to provide education, services and research studies in Holistic Medicine and Sustainable Living, amalgamating indigenous and diverse systems of healing with contemporary scientific beliefs and technology. PRC is a Designated Private Training Institution in British Columbia. Canadian students are eligible to apply for Canada Government Student Loans. 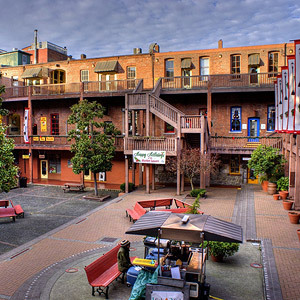 As Pacific Rim College is a Designated Learning Institution with Citizenship and Immigration Canada, international students are permitted to study in all of PRC’s programs. Academic programs within PRC are recognized by various governing bodies and associations, including the CTCMA for Acupuncture and Oriental Medicine programs, the American Herbalist Guild for the Diploma of Phytotherapy, and the National Association of Nutrition Professionals for the Diploma of Holistic Nutrition. Pacific Rim College was named Vancouver Island ‘Professional Business of the Year’ in the 2016 Vancouver Island Business Excellence Awards. Pacific Rim College garnered Finalist honours for the 2015 Greater Victoria Chamber of Commerce Business of the Year (11-25)! Pacific Rim College is committed to preserving the environment and promoting natural and sustainable medicinal and agricultural practices. Our campus has recycling receptacles, composting bins, low energy lighting, upcycled furnishings and decor, and is Bullfrog Powered. Bullfrog Power is Canada’s 100% green energy provider. Health care in the 21st century, the age of the World Wide Web and the Green Revolution, is as diverse around the globe as the people who rely on it. Whether you are a nursing mother in Sweden, an executive in New York City, or a taxi driver in Mumbai, what is now becoming irrefutably clear is that health is only partially based on economic status. The regions and countries where people are thriving seem to be those that have preserved connections to traditional foods, customs, and medicinal practices and have made great strides toward accepting holistic healing beliefs and practices. With 7 billion people on the planet today, we must realize that we no longer need to change our destructive habits for the survival of future generations; we must do so for the survival of current generations. The pollution resulting from factory farms, toxic dumping and unprecedented pharmaceutical consumption to name only a few, is reaching critical mass. There may no longer be a clean drop of water on earth, but through the employment of sustainable movements such as organic farming practices, land conservation and the integration of modern day medicine with traditional and indigenous practices, we can start to set things right. 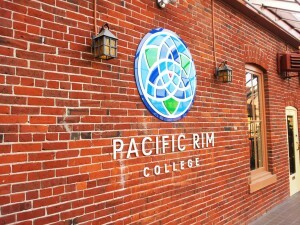 Pacific Rim College is not only a participant in the movement toward a more sustainable world, but is also a pioneer. By integrating modern and traditional medical practices, we are endeavouring to ensure that ancient knowledge will not be lost, and that medical practices will be employed based not on power and corruption, but rather on conscientious common sense on a global scale and, quite simply, need. If you want to take part in the holistic medical movement or live more sustainable to help secure a healthier future, consider joining Pacific Rim College.